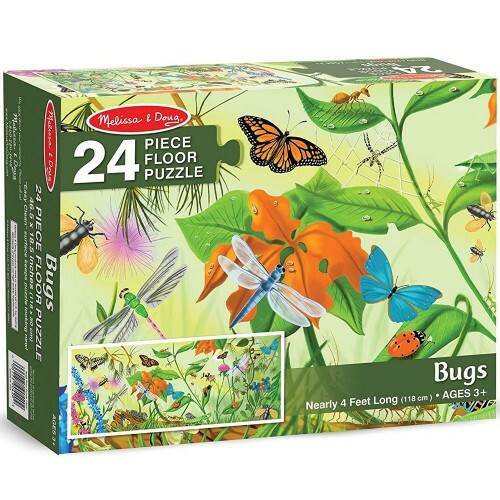 The world of bugs looks so fantastic on the picture of this magnificently illustrated Bugs 24 pcs Floor Puzzle by Melissa & Doug! The world of bugs looks so fantastic on the picture of this magnificently illustrated Bugs 24 pcs Floor Puzzle by Melissa & Doug! 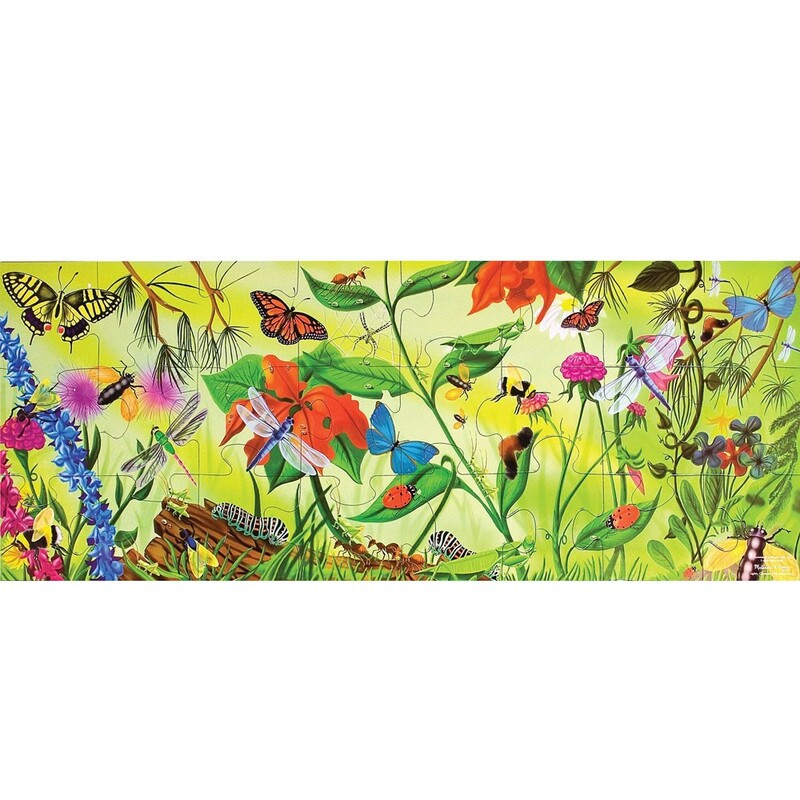 Countless butterflies, ants, caterpillars, dragon flies, lady bugs, and many more species of insects are crawling or flying around this colorful cardboard puzzle. 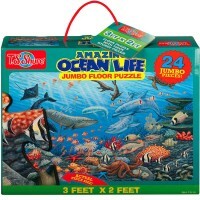 Just match 24 sturdy pieces together to bring this colorful bug world to life. 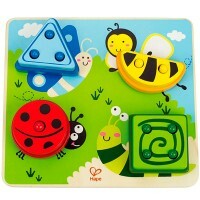 Boys and girls will practice their dexterity, memory and matching skills playing with quality insects educational puzzle. 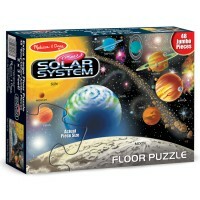 Finished Bugs 24 pcs Floor Puzzle measures 46.5 x 18.5 inches. 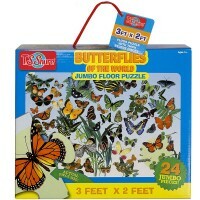 Dimensions of package 9.3" x 11.3" x 3"
Write your own review of Bugs 24 pcs Floor Puzzle. Rating: 5 Bugs! 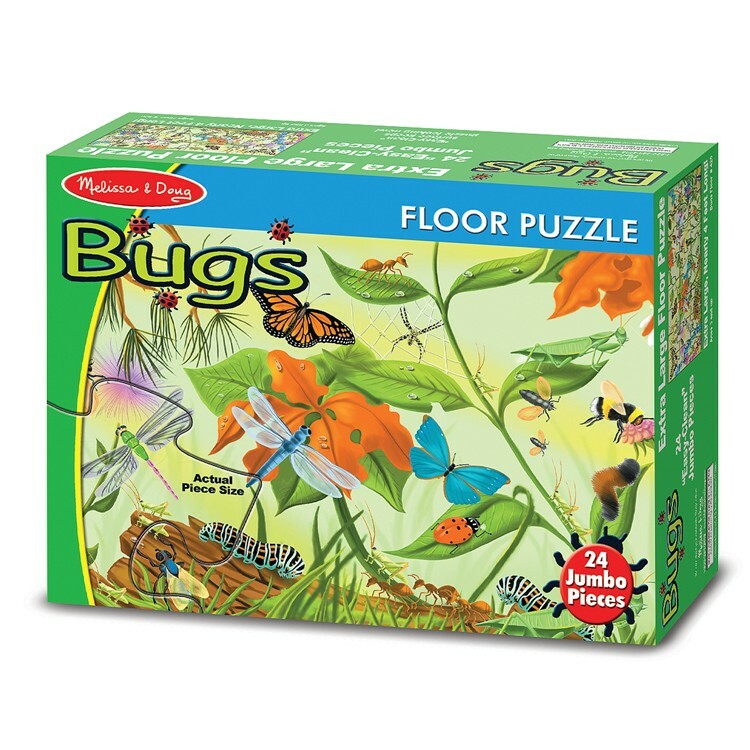 by Jessica G If there is one thing that kids love it is BUGS! 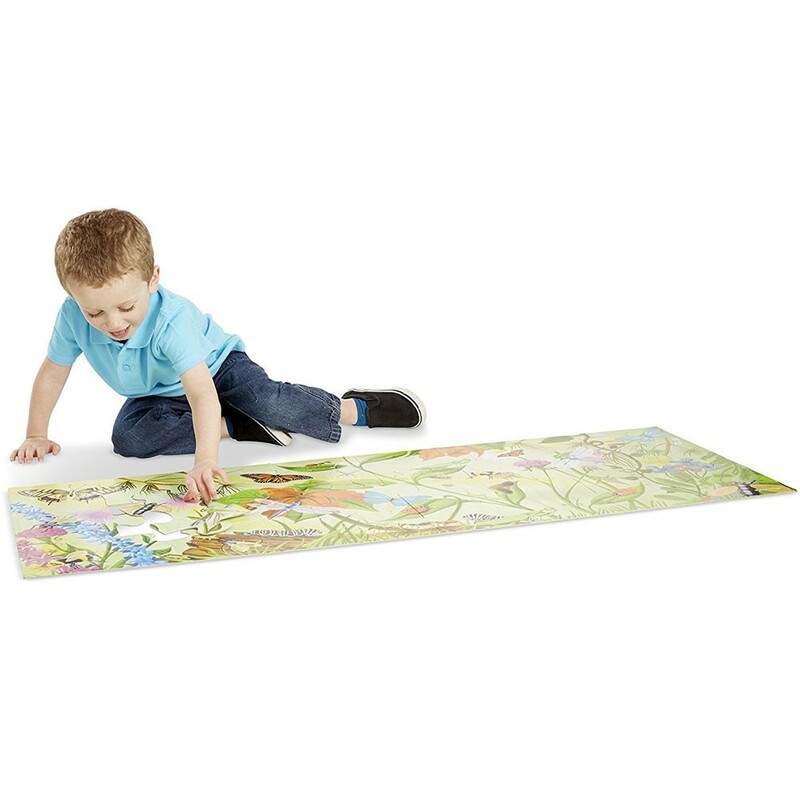 Little boys will all of the creepy crawlies on the puzzle while the beautiful and colorful illustrations will make it attractive to all kids. 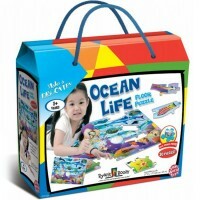 3 years is actually probably a bit young for this toy. 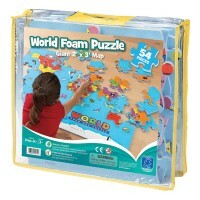 The 24 piece puzzle is a good size for kindergarten and up. It could even be framed and mounted in a bug themed room. 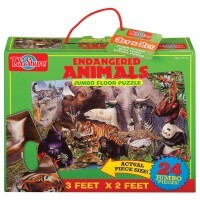 What a great puzzle! 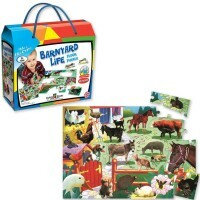 Rating: 4 by Barbara, OH Gift for 3 year old. Anxious to see how he likes it and handles it. Rating: 5 by kristin, MA I like the size of the pieces. It makes a wonderful display when finished. 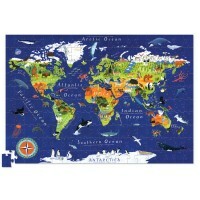 My 2.5 yr old was able to be taught how to put a puzzle together and loves the end result. 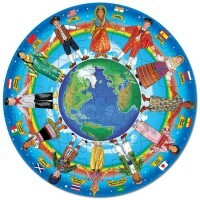 It's beautiful, colorful, and interesting.